ChrisPC Free YouTube Downloader Converter is a powerful software with converter capabilities that allows you to download and store locally videos from your favorite online video websites. Note: We've detected that ChrisPC Free VideoTube Downloader's installer might attempt to bundle third-party software. Our team has compiled a list of clean alternatives you can try instead. You can still download ChrisPC Free VideoTube Downloader but we suggest to proceed with caution and select the "Custom" installation option to identify any potential unwanted software. ChrisPC Free YouTube Downloader Converter allows you to download videos and playlists from YouTube, videos from Dailymotion, Vimeo, Veoh, MyVideo.de, Flickr, Metacafe, Blip.tv, LiveLeak, Break, Trilulilu.ro, 220.ro, Tare.ro, Adult sites and many more video websites. Once the videos are downloaded, you can convert them to formats compatible with iPad, iPhone, iPod, MPEG-4 H.264, MP3, AC3. Note: This program contains additional software offerings, so read carefully all check boxes throughout the installation process. ChrisPC Free YouTube Downloader Converter is a freeware software for non-commercial use. Therefore you benefit from the power of this tool. Other tools with this great functionality are costing money. Download and convert unlimited number of videos from YouTube, Dailymotion, Vimeo, Veoh, MyVideo.de, Flickr, Metacafe, Blip.tv, LiveLeak, Break, Trilulilu, Thatvideosite, 220.ro, Tare.ro, Adult sites and many more video websites. Support for most YouTube playlists. Select the video format of the YouTube video you wish to download: MP4 H.264, WebM Vp8, FLV H.264, 3GP. Select the quality of the YouTube video you wish to download: 1080p HD, 720p HD, 480p, 360p, 270p, 240p, 144p. Fast conversion, with up to 4 conversions at the same time. Convert videos to other formats: iPad, iPhone, iPod, MPEG-4, AVI Xvid, MP3, AC3. Minimize ChrisPC Free YouTube Downloader Converter to systray. Improved YouTube videos download speed. Fixed download issues for some YouTube videos. 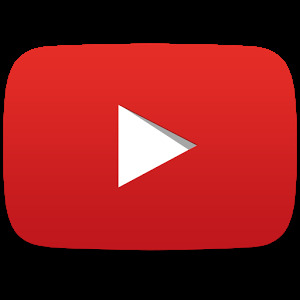 Keep up with your favorite YouTube channels and access the world’s videos anywhere with the official YouTube app for Android.